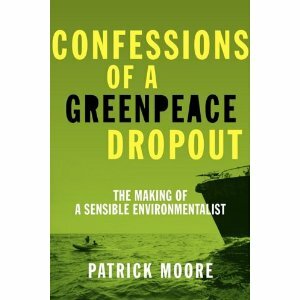 Patrick Moore was a founder of Greenpeace back in the early 70s. He was a radical environmentalist who became a sensible environmentalist. In his important new book he tells his story, and much more. It is an eye-opening account not only of the inner workings of one radical green group, but a story of how balanced environmental concerns can be expressed. Confessions of a Greenpeace Dropout (Beatty Street, 2010), chronicles his involvement with Greenpeace and his eventful disillusionment with it. The first half looks at all the now famous activities of Greenpeace and his involvement with them. There are all the stories of anti-nuclear activism, anti-whaling programs, campaigns against chemicals, and so on. We learn about how he became involved in radical environmentalism; how he became president of Greenpeace in 1977; how he reacted to the sinking of the Rainbow Warrior in Auckland; how he grew aware of ideological and politicised agendas amongst his peers; and how he eventually decided he had had enough of a once important organisation. He describes in detail his growing disillusionment with Greenpeace. He came to see that these people were ideologically-driven activists, not scientists, so they were often going off half-cocked, lambasting things which were not in fact harmful or dangerous. This is when Greenpeace really lost me. As a student of advanced biochemistry, I realized chlorine was one of the 92 natural elements in the periodic table and that it is essential for life. You don’t just go around banning entire elements, especially when life without them would be impossible! A number of related concerns eventually led to his decision to leave. He was tired of the politics, the grandstanding, the propaganda, and the radical, inflexible warfare mentality of Greenpeace. He knew there must be a better way to achieve genuine sustainable environmental outcomes. I wanted to move from constant confrontation, always telling people what they should stop doing, to trying to find consensus about what we should do instead. I had been against three or four things every day of my life for the past 15 years. I now decided to figure out what I was in favour of for a change. I wanted to find solutions rather than problems and to seek win-win resolutions rather than unending confrontations. In 1986 he finally parted ways with the organisation he helped to form some 15 years earlier. The second half of the book examines the various major environmental issues, examining how Greenpeace has been more interested in activist politics than in sound science. Thus Moore looks in some detail at all the big issues, including nuclear energy, climate change, the nature of chemicals, population issues, biodiversity and endangered species. While still a committed environmentalist, he now has moved in polar opposite directions in many of these areas. no nuclear worker has ever been killed in a nuclear plant accident in the West, and only one accident has caused fatalities. Chernobyl was the exception to the rule, and despite propaganda to the contrary (Greenpeace claims over 90,000 died because of the accident), the UN-based Chernobyl Forum concluded that only 56 people died as a direct result of the episode. How did we get to the point where environmental groups reject the most cost-effective, feasible, and timely solutions to the very problems they are most concerned about? All material things are made of chemicals. No chemical is inherently evil. Under certain conditions some chemicals can be quite dangerous. Many chemicals have both negative and positive attributes. Bans should be placed on the way a chemical is used, not on the chemical itself. The benefits of many chemicals far outweigh any toxic impacts. He also talks good solid sense on the contentious issue of climate change. He reminds us that climatology science is only a few decades old, and there is a great deal of diversity of opinion within the community. And climate science is about two quite different things: current facts versus future predictions. It is in the latter area that we often get into so much trouble. He offers plenty of detailed discussion on this issue. Scare-mongering about polar bears is one case he tackles head on. The truth is, in 1960 there were around 6,000 polar bears, whereas today there are some 20,000 to 25,000. It is not weather conditions but hunting that is mainly responsible for their numbers. possibly making the coldest places on earth more habitable and definitely increasing yields of food crops, energy crops, and forests around the entire world. In sum, he believes that groups like Greenpeace have in many ways been selling us a bill of goods. 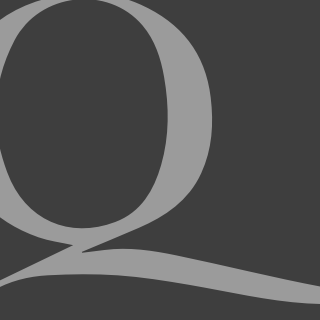 The environmental movement “is partly a political movement that aims to influence public policy, but it is also partly a religious movement in that many of its policies are based on beliefs rather than scientific facts. Environmentalism is to a large extent a populist movement that challenges established authority and appeals to the disenchanted, social revolutionaries, and idealists. ‘Pop environmentalism,’ like popular culture in general, tends to be shallow and sensational, moving from fad to fad. The pop environmentalists are generally self-assured, even smug in the belief they know the truth. make use of advances in genetic science. This is a very important book. Simply going by the amount of flack he has come under since making his move tells us about its importance. Indeed, whenever a person leaves a group of true believers, be it atheism, Islam or other totalist ideologies, such a move will always be considered to be treasonous. So Moore is now considered to be an apostate and a heretic by many of his former fellow-travellers. Well, so be it. The time has well and truly come for the radical, loony activism of so many greens to be replaced by realistic, science-based and sensible environmentalism. We can all be grateful for Moore taking the lead in this.